A group of teenagers and twenty-somethings from a church in Cyncoed returned to a neglected estate in Pentrebane for a second year running to work alongside the council and local community members to improve the area. Fairwater is named as a community first area by the Government – identifying it as an area where investment into services is most needed. New Life church Cardiff usually meets in an affluent community and the two areas could not be more different despite only being 7 miles apart. In 2010 young church members took part in a project which brightened shop fronts with paint and hosted a free community fun day. This May they decided to return to the same place and over a bank holiday weekend they cleared a derelict plot of land and achieved in two days what would normally take two weeks. Many of the local youth recognised the team and the HOPE logo from the previous year. 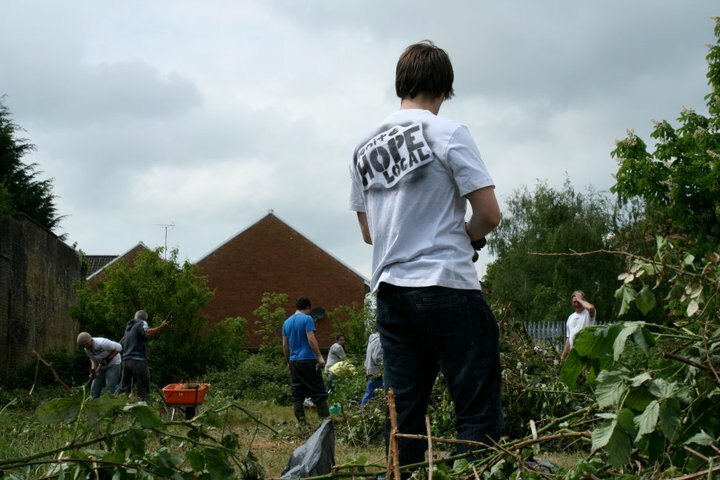 The project was part of Ignite HOPE local which inspired hundreds of young people all over South Wales to invest in their local community life, demonstrate care and share their faith with others. As a result of this work, their relationships with the council and a vision to invest in local community fully, the church is now looking to move their meeting location to Fairwater. 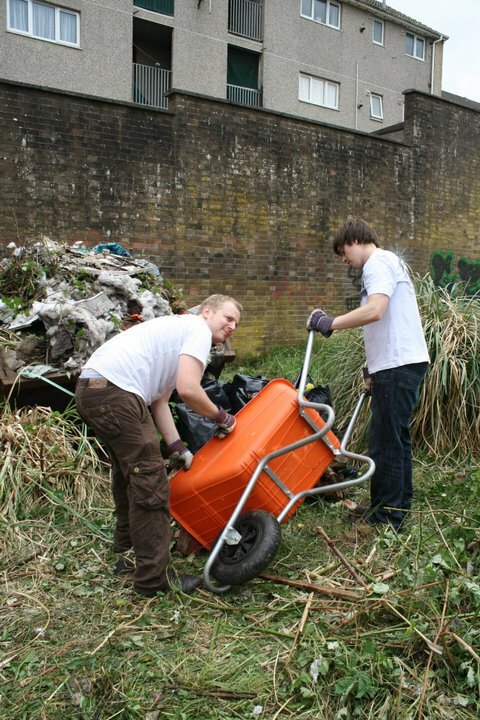 As the group worked with the council and developed trust, they were then offered a derelict shop free of rent for eight months in which to base a community project. Abi Williams, one of the team leaders, said: “We have really felt welcome as part of the community in Fairwater and, as a church, we are now exploring t hese possibilities. We feel that God has called us to invest in this area and we really want to share His love with people. New Life church is the only local congregation with a significant number of young people but this did not stop the other local churches being involved. The Lutheran and Presbyterian churches in Fairwater provided buildings to host various aspects of the work and several members got stuck in by making the team’s lunches. This was just one part of Ignite HOPE Local, a weekend full of evangelism and mission projects in communities around South Wales. Ten local areas benefited from volunteers of all ages, and many youth, getting involved in sharing hope with the place they live. This type application basically search version of the window and supported format https://foxdownload.org give here into the form of download mozilla firefox free. If you are search any good browser then I hope it will be good for you. I'm not a highbrow snot but rather I feel that due to my activity I'm excessively embarred, making it impossible to go out and meet individuals. I void receptacles and clean toilets. it's not what I wan't to do, https://www.essaytigers.co.uk/ but rather I have OCD, and therefore, am kept from getting the hang of anything, as it's so terrible. What do the overall population when all is said in done think about individuals like me? Well the youth showing there relevance by being pretty effective here never have I ever see such important being given to me here which could be an important stuff to observe https://www.courseworkclub.co.uk/ have led me here to this following points. Achieving this objective requests that every one of the three drivers of decline are handled in an incorporated manner to limit the hole between deprived areas.